I have had the pleasure to shoot many modern cars. I’ve seen slammed, bagged and stanced cars, lifted trucks, american muscle but never a retro design like the 1980’s Toyota Mark III Supra. 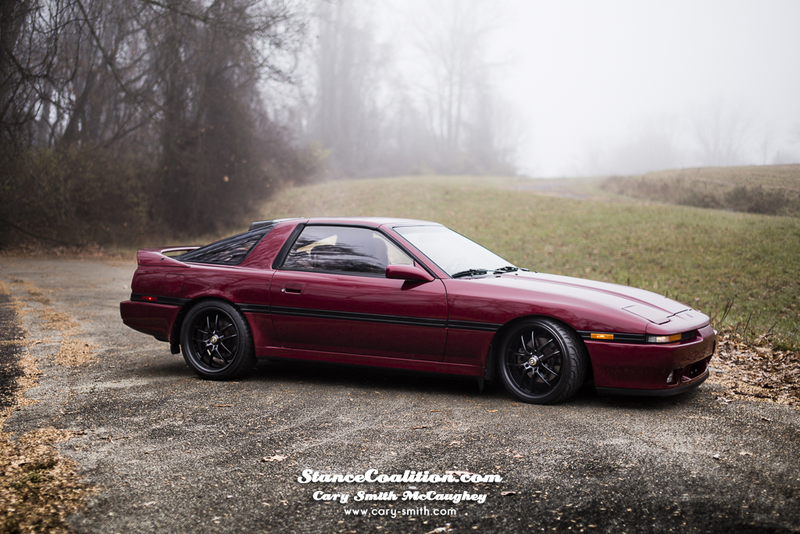 Over the summer I snapped a few photographs of a maroon MK3 Supra and decided to do a little homework and find the owner. The owner was a guy named Josh, a resident of Pennsylvania. He has been a car enthusiast since his first words as a child which was the word “truck”. As his obsession grew with being surrounded by matchbox cars, his mother would bribe him with a new model after every doctor’s visit or surprise him after local yard sales that she found. As he grew up, one matchbox car became three large boxes filled to the brim. Advancing into High school, his obsession with cars grew and it then molded his interest into the 1980/90 Japanese spec platforms. 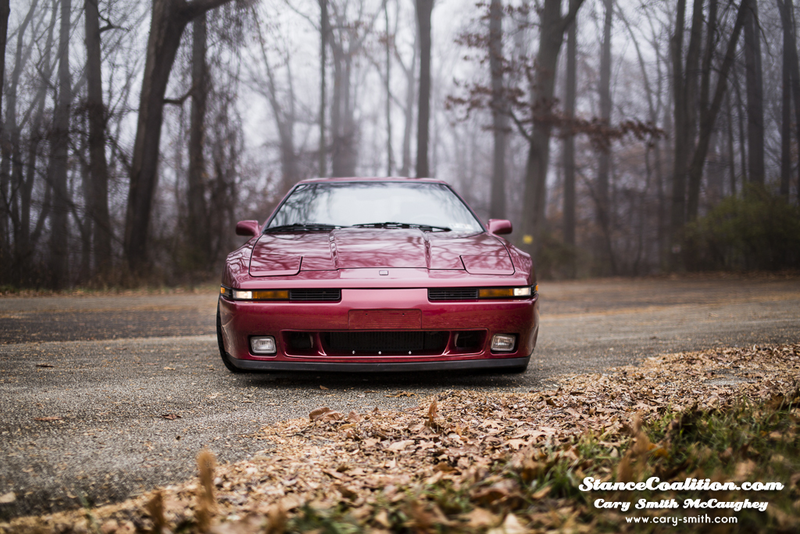 A car that always seemed to catch his eye was the Nissan 300zx, as anyone can remember these incredible machines. However, it seemed out of his budget due to the demand and availability, the prices were unattainable for the desired specs. 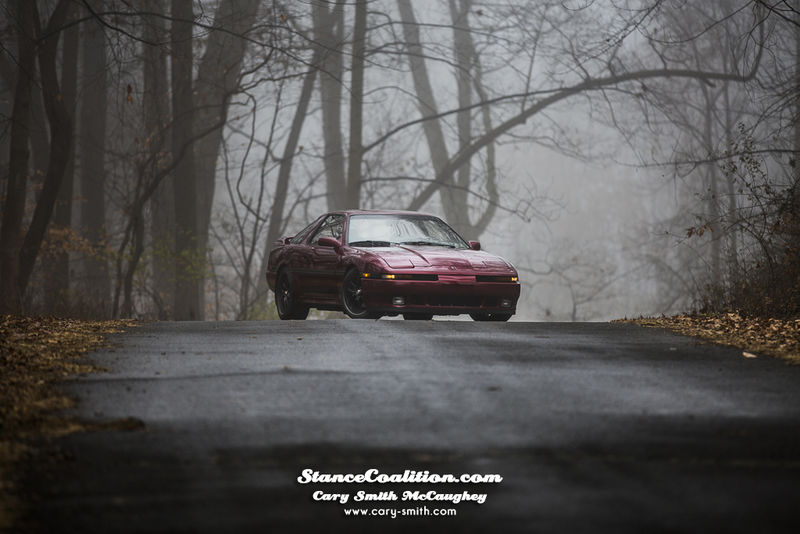 One day after school, Josh saw out of the corner of his eye, the competitor to the 300ZX, a late 80’s Mark III Targa-Top Toyota Supra. It was ladened with dirt, some rust and sunbaked paint which had been clearly neglected. It was a horrible sight from the street where it seemed to be put to rest. Josh walked up to the door to inquire if the home-owner would like to part with it. Fortunate and unfortunate circumstances for both Josh & the current owner the economy would play a vital part in Josh’s purchase. The owner saw the car severely diminish in quality so he requested only a small amount in return Josh take special care of the ride. Josh laid the money in the home-owner’s hand and from there its history would be reborn. 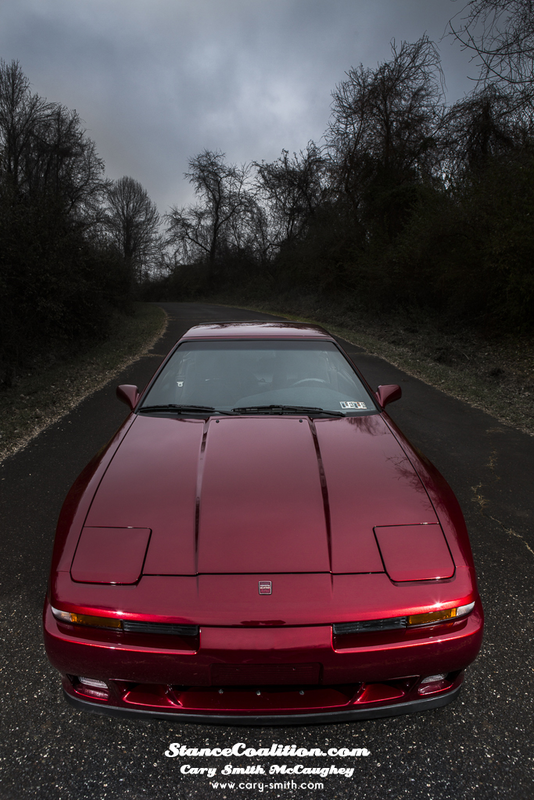 Six years later, many hard earned dollars and countless sleepless nights, the 1989 Mark III Supra would receive the respect that was due. Owning a Supra, there is a sense of pride. Not many of them are seen driving around on a daily basis. Josh drove around, faded paint and all until it drove him mad. First on his list would be to repaint the beauty to its natural state. A local that he knew cut him a deal and brought back the beast to its original show room shine. Seeing it with my own eyes would weaken one at the knees. It was literally perfect. No fade, rust, NOTHING! Just my reflection and sparkling greatness like it had been back when the car was fresh off the assembly line. As the disease of owning such a car pulsed through his veins, it was only before time that Josh would consider adding performance aftermarket parts to the Supra. 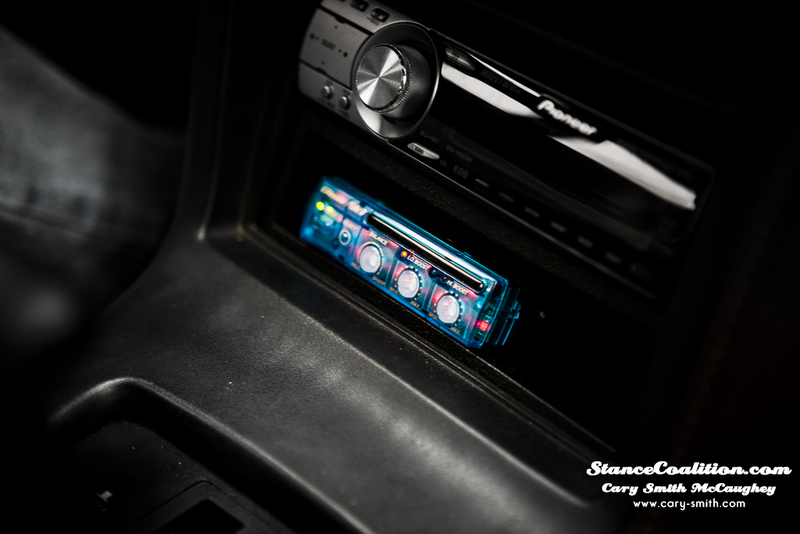 Lucky to him, there had been well over a decade of development and sales of aftermarket parts so there would be many options for him research. The only problem that arose was that many of the parts would be in Japan and the car had become a bit unseen in the desired enthusiast market. With this in mind, Josh stood firm about modding the MK3. He perused the information super high-way (internet) for any available parts. 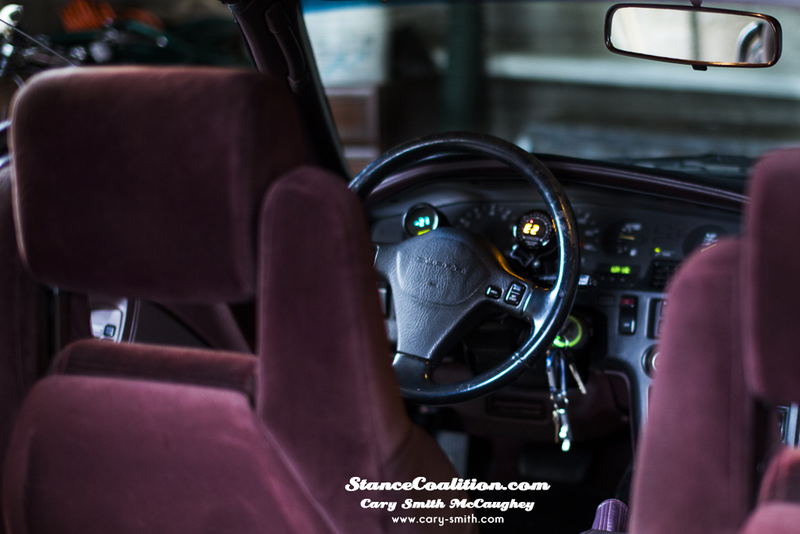 Josh would soon find himself with a wealth of knowledge that would tastefully take his MK3 to the next level without emptying his bank. 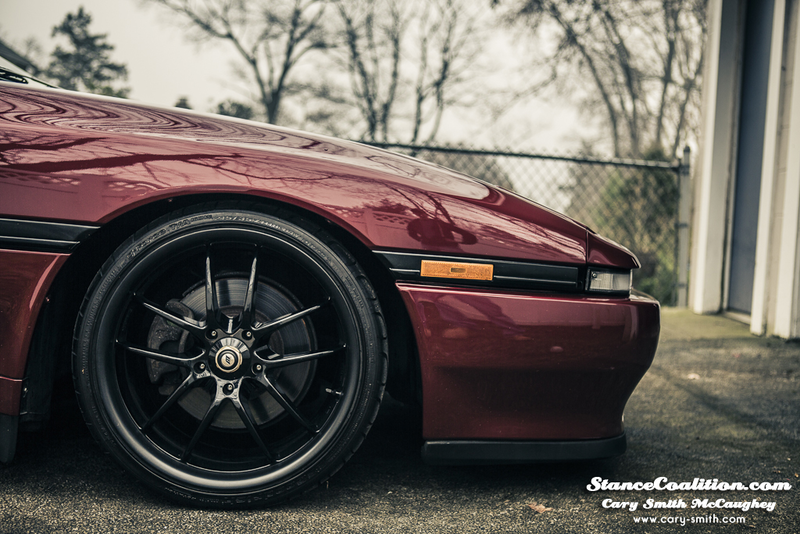 The rest is history for the lucky owner of this beautifully crafted Mark III Supra that would now turn heads forever.